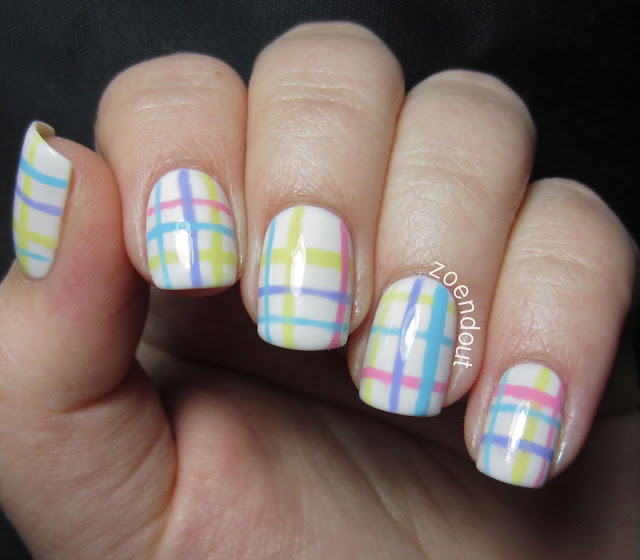 Here are the nails that I'll probably still have on for Easter, Pastel Plaid! Yep, I took the easy way out and just did some stripes, but it still really like these. For these nails I started with a base of Shallow from Colour Gossip. I used the longest striper that I have for these. I started with the yellow, Sinful Colors Unicorn. The pink stripes are OPI Pink Friday, the purple stripes are Sinful Colors Candy Coated. Last but not least, the blue stripes are Sinful Colors Sugar Rush. I used two coats of top coat on these so they wouldn't feel lumpy. I hope you guys have a happy Easter! 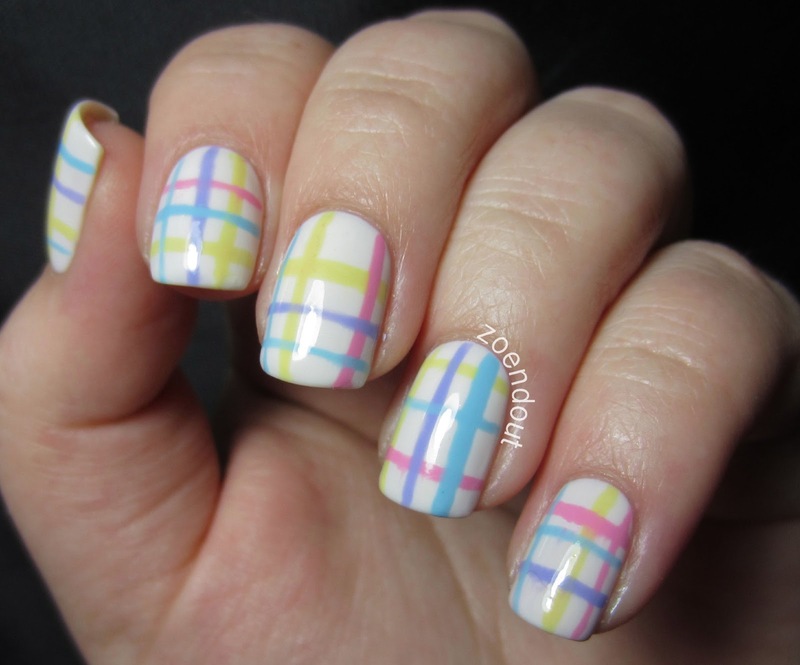 I love plaid nails, and they're even better with pastel colours. Lovely! Thank you for commenting! I really do love, appreciate and read every single comment that I receive. Please do not spam or try to promote your blog. If I see comments like this, I will delete them. Hi! I'm Zoë. 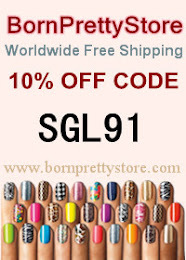 This is my nail blog with the occasional makeup and other things. If you ever have any questions or requests, don't hesitate to comment or email me! My Lovely New Steve Madden Purse!